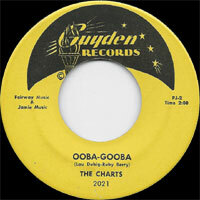 Groupe Doo Wop US formé en 1956. 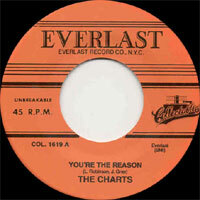 Les Charts sont originaires de New York. Ils comprenaient Joseph Grier, Leroy Binns, Steven Brown, Glemmore Jackson et Ross Buford. Ils se sont séparés en 1958. 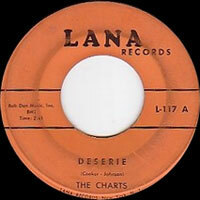 The Charts' 1957 hit "Deserie" endures as a doo wop classic, despite the fact that it failed to chart. 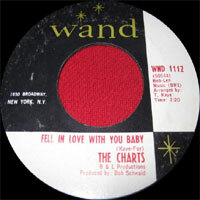 Formed in 1956, the Harlem-born group — led by lead Vocalsist Joseph Grier and featuring Leroy Binns, Ross Buford, and Glenmore Jackson — were managed by musician Les Cooper, a native of Norfolk, VA, who had previously been a member of the Empires and the Whirlers, and by the mid-'50s was already a longtime scenemaker on New York's doo wop scene. 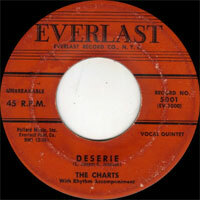 Cooper scored the Harlem quintet a contract with Danny Robinson's Everlast imprint and they recorded their only hit, "Deserie," the following year. 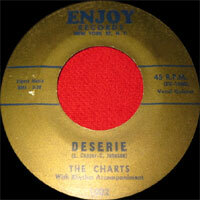 It was covered by the Blue Angels for Del-Fi's Selma imprint on the West Coast. 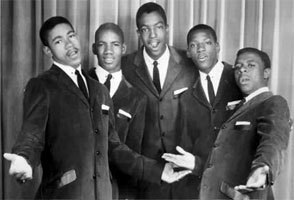 After a few more 45s for Everlast, the Charts disbanded in 1958. Cooper eventually cut a hit single with his own group, the Soul Rockers, in 1962. 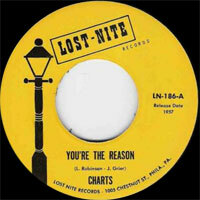 The Vocals A-side was "Dig Yourself," but the major hit was the instrumental B-side, "Wiggle Wobble," which featured a prominent King Curtis-styled tenor sax performance by former-Charts lead singer Grier.